Because The Big Bang Partnership Ltd. is a business consultancy that is passionate about helping people succeed, we build strong relationships with all our clients. They appreciate our time and dedication, often recommending us to others. “Dr Jo North has been helping the members of Kielder Water & Forest Park Development Trust to develop our vision and generate new business ideas and propositions which will deliver the Trust’s objectives. Her fun, hands on approach has helped us to think creatively and challenge each other in a positive way, leading to the generation of an investment plan which will have joint ownership and buy in. 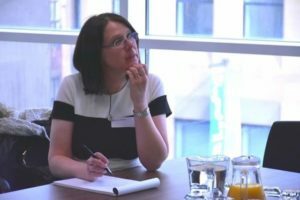 Jo is a highly skilled facilitator who has enabled each attendee to articulate their views over the course of the workshops, drawing together the different perspectives to create a collective plan which we are all able sign up to. “I’ve had the privilege to attend one of Jo’s workshops about Ideation which was sponsored by Goldman Sachs. I didn’t know what to expect but was delighted with the results. Jo’s workshops offer decision makers useful tools in how to take something from proof to concept, how to find solutions to a problem with the help of simple techniques and how to efficiently communicate within the organisation and make sure vital ideas are not lost. The workshop exceeded my expectations and I would happily recommend Jo and her workshops.” Achille Traore, CEO at Top Screen Media Ltd. Please fill in our online contact form to get started today!